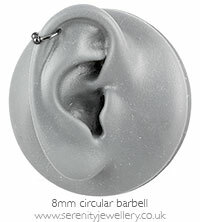 Hypoallergenic black PVD titanium circular barbells with 8mm or 10mm internal diameter. 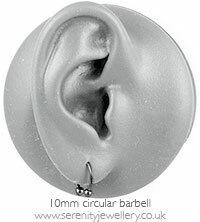 The barbells are secured at each end by 3mm screw-on balls. Nice colour and size, all fine.